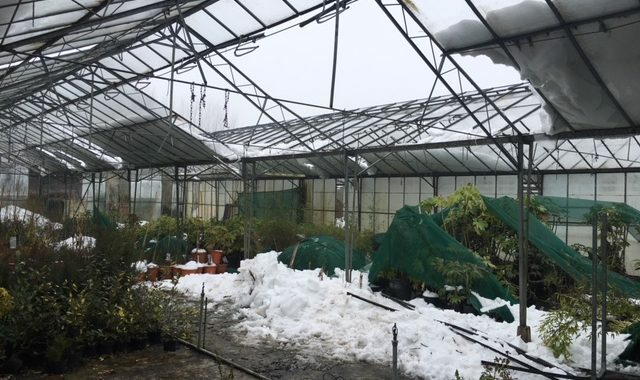 This week has really tested our resolve on the nursery, like everyone else especially around Kildare, Wicklow & Dublin we seem to have been the hardest hit by the so called Beast from The East and then Storm Emma but please spare a thought for the small businesses that have suffered more than you could ever imagine. So when you see the call for supporting local, helping the businesses in your own community get back on their feet please think hard before dismissing it as just another social media post. Here is my tale of how the last week has affected our nursery, so Tuesday last we were coming to the end of a planting project and the guys did everything they could to get it finished as we were aware that if it didn’t get finished then it may be a few days before we would get back, no-one actually envisaged it would be quite as bad but anyway we got the garden finished and the plants are all fine once they are in the ground. Wednesday came with nearly a foot of snow on the ground but most of my guys battled in and we spent the morning protecting some of our most expensive of plants, ones that might get broken, most of what we have is not tender but ones that the weight of snow could do damage to especially as they are in pots and not in the ground to get heat from the soil. They got as much done as possible and they went home before the 3pm curfew (sounded mad at the time but I’m so glad we took heed of the warning) Wednesday night came and brought with it another 3-4 foot of snow but also a lot of snow drifts, the nursery like lots of other parts of the Province was cut off completely. The worst however was still to come, we remained closed until Monday where although we were open we still had 2ft+ of snow but above that we had so much structural damage; growing tunnels collapsed and an half acre glasshouse collapsed in multiple places with pure weight of the snow and on checking with our insurers snow damage is not covered. We are currently estimating the damage at €45-50,000 but that is without assessing the plants and trees which I’m sure will add to that figure over the coming days. 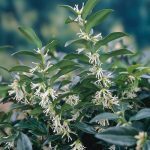 The good news is that we are all still here, although a little demented with the long enforced period of time holed up in the house we still have our health and most of our plants are just fine. The road opened fully to Caragh and on to the rest of the motorway network and towns on Tuesday and we are getting back to business. 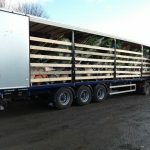 Our website is a great tool and has continued with business as normal with deliveries commencing again on Thursday and several new planting projects that have been delayed. Like all good local business owners its onwards and upwards with a strong belief that our product does make a difference.